My prayer is, let me be a blessing to someone or something today. Is it true? In a word… there is power and control. In a word… one can conquer. Is it promised? 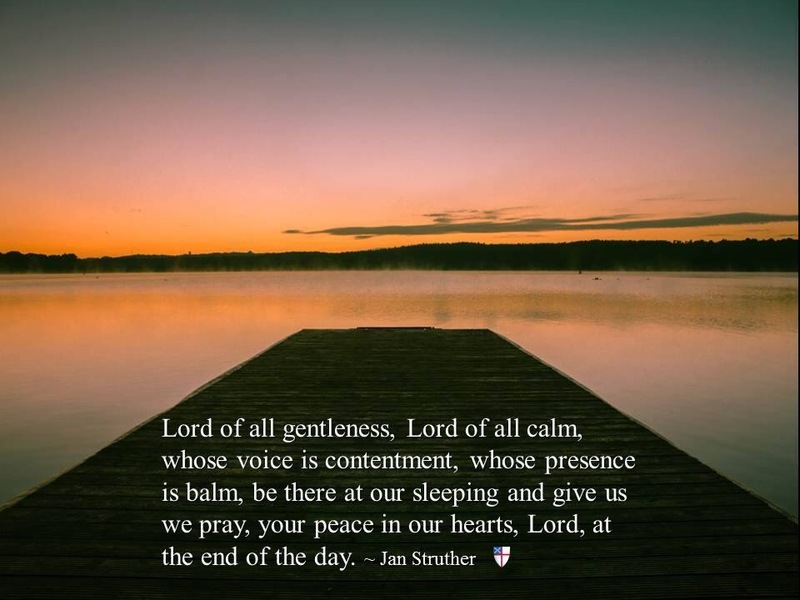 In a prayer… there is humility and acceptance. In a prayer… one can be free. May we find ways to calm the restless noise that surrounds us. May we support one another as we each open to God’s care as pain is eased and weary spirits are renewed. And as the sun rises to a new day, may we go out to share God’s strength and hope to those whose deep hurts are stirred by the angry banter in our airways and our streets.